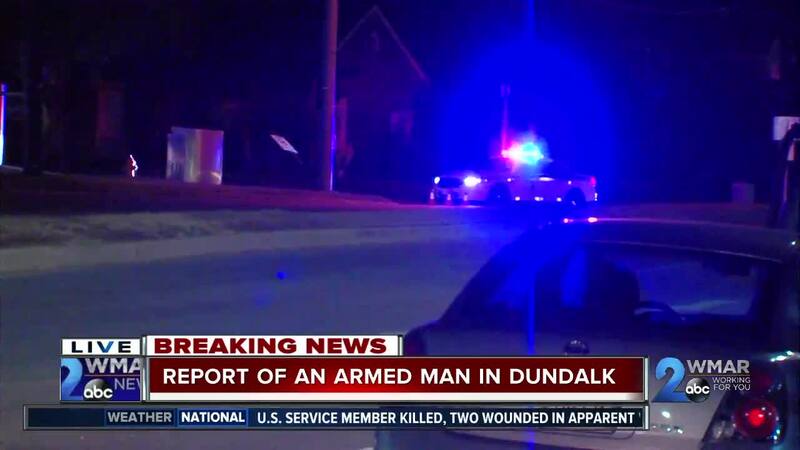 A standoff between Baltimore County Police and an armed man in Dundalk ended Monday morning. 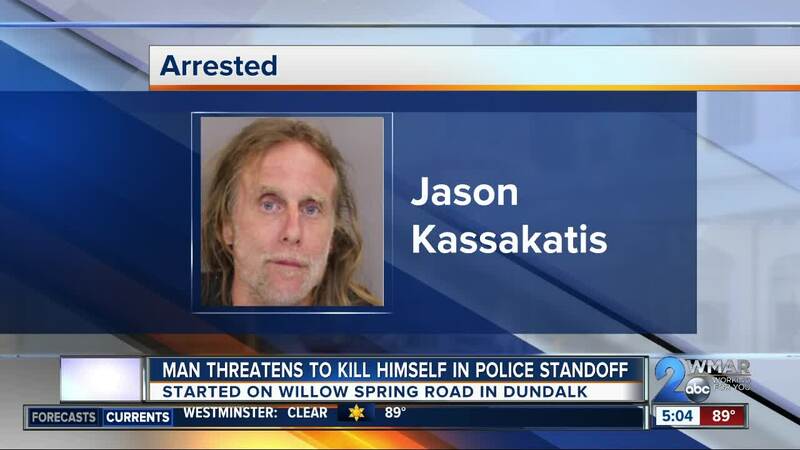 Police said they were negotiating with an armed man, later identified as 50-year-old Jason John Kassakatis, in the area of Yorkway and Kinship Road since Sunday night. Officials said the incident began with a traffic stop around 8 p.m. on Willow Spring Road. They say they tried to stop a car with stolen tags, but when they approached the car, Kassakatis exited the vehicle, displaying a gun and walked away from the officers threatening to shoot himself. Kassakatis then walked to the intersection of Yorkway and Kinship Road with the gun still pointed at himself. 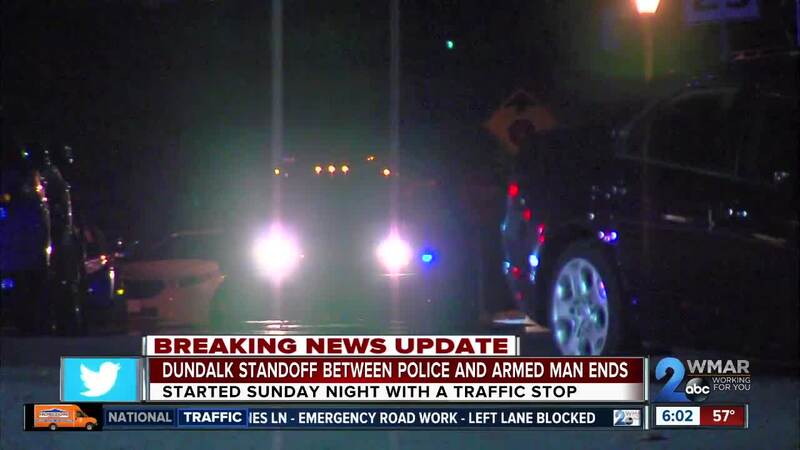 Police and the tactical and hostage negotiations unit spoke with him for several hours. Just before 12:30 a.m., Kassakatis surrendered to police where they recovered a gun and knife on him, as well as another gun in the car. After getting medical treatment Kassakatis was charged with first-degree assault, second-degree assault, convicted felon in possession of a firearm, handgun on person, handgun in a vehicle, illegal possession of ammunition, possession of CDS, possession of paraphernalia, failure to obey a lawful order, possession of a dangerous weapon and theft under $100.00. He is currently being held in the Baltimore County Department of Corrections and was denied bail.